Exclusive: When Sandi Tan was just a budding teenage filmmaker, she made a film. Over two decades later, she went looking for it. Not all lost films have to stay that way, such is the unexpected lesson of Sandi Tan’s captivating new documentary, “Shirkers,” in which the filmmaker literally goes looking for her own lost creations. The inventive doc stretches back to 1992, when Tan (then a budding teen filmmaker) and her friends shot a wild indie movie in Singapore with the help of their American mentor, who later disappeared…with all the footage. The first half of Tan’s documentary is mostly consumed with telegraphing that story (fascinating on its own), but then picks up two decades later, when Tan hits the road to unravel the mystery of this unexpected thievery and finds that there was much more to the story than she imagined. It’s a zippy, pleasing movie for cinephiles of every stripe (and both teen Tan and her current version are steady, smart protagonists), but it also packs a fascinating mystery told with a unique sensitivity. The documentary debuted earlier this year in Sundance’s World Cinema competition section, where it picked up an win for Tan as Best Director in the section. A month later, Netflix snapped it up for a streaming deal that should put it in front of the eyeballs of its target audience: obsessive movie-watchers who love a good yarn. 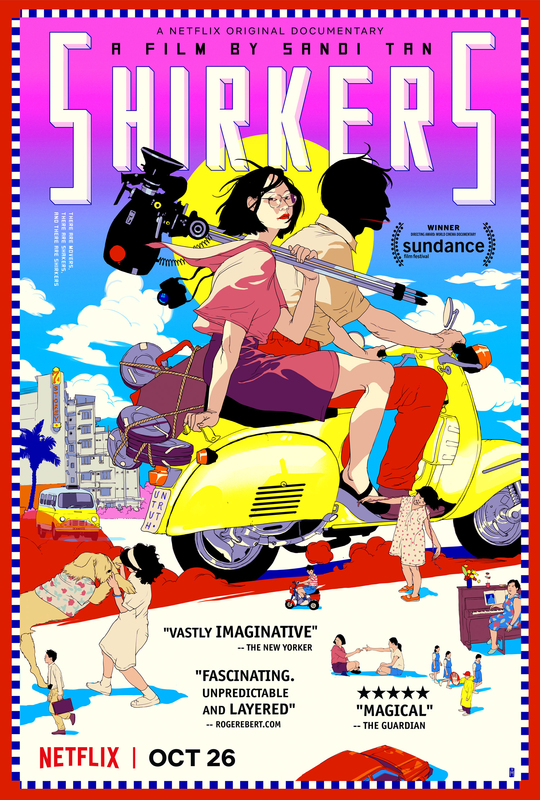 Netflix will launch “Shirkers” globally on Friday, October 26. It will next screen in NYC at Rooftop Films on Thursday, September 20. Check out IndieWire’s exclusive poster and first trailer below.